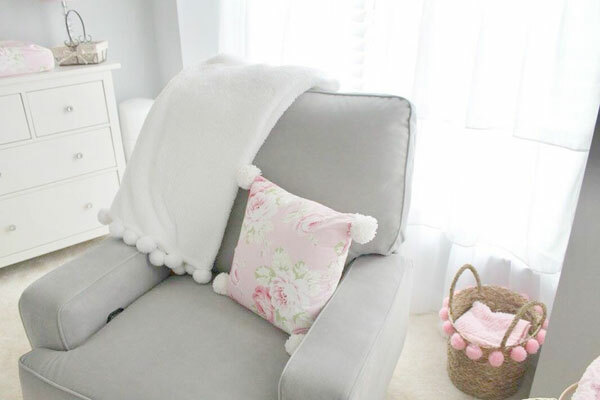 We love sharing customer's nurseries, especially a baby girl nursery as gorgeous as this! Liz Freeman designed this stunning nursery for her baby girl, Penelope Reese. 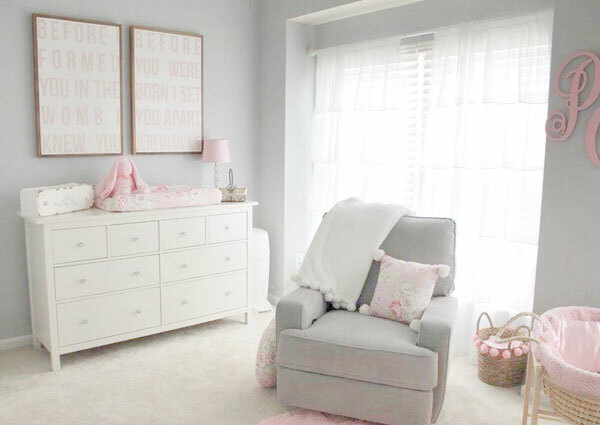 Find lots of baby girl nursery ideas in this gray and pink nursery. There is so much to love in this adorable baby's room! The feminine white crib is dressed with our Pink Desert Rose Floral Crib Sheet and a simple white crib skirt. The white shelves are perfect for display of keepsakes, pictures and memorabilia. 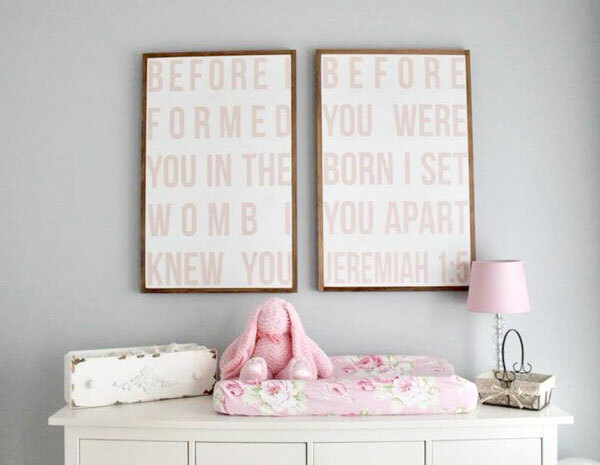 Personalized art work over the crib trimmed with flowers, is the perfect focal point for this precious baby girl's nursery. Using the top of your nursery dresser for a changing area is a great way to save space in your nursery. Our Pink Desert Rose Changing Pad Cover adds color on top of this white wooden dresser. Jeremiah 1:5 wall decor is unique and personalizes Penelope's room. White ruffled curtain panels and pom pom basket add feminine touches and white furniture pops against the soft gray walls. The soft gray glider complements the pink in the room, and is the perfect spot for our Pink Desert Rose Pom Pom Throw Pillow. A comfy place for rocking Penelope to sleep! A sweet moses basket for rocking and large wooden cursive monogram adds personalization to the room. 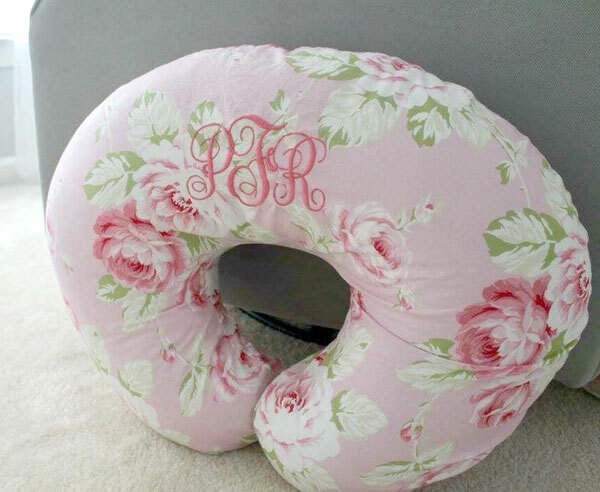 Our monogrammed Pink Desert Rose Boppy Cover coordinates well with the nursery, and is perfect for feedings! See our Pink Desert Rose Bedding Collection and coordinating accessories. 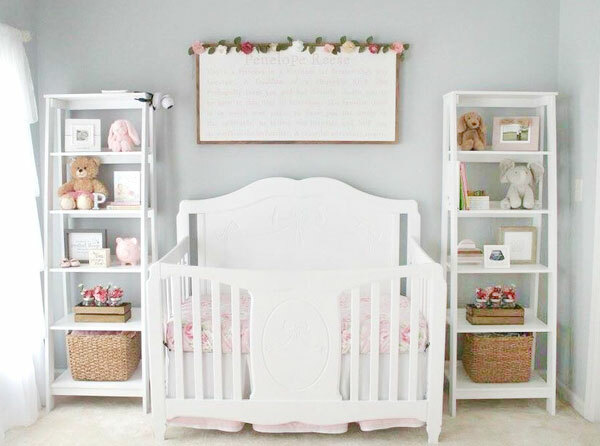 Thank you Liz, for sharing this amazing baby girl nursery with us! Do you have a nursery to share? We'd love to see it! Please send information and pictures to [email protected]!